My husband provides technical, emotional, parenting and housework support which enables us to homeschool. In most homeschooling families mom is the teacher, and dad's role isn't often discussed. So I'm excited to read about how the other men married to the homeschooling moms writing for the Homeschool Help Series participate in homeschooling. When my oldest was five years old I wanted to homeschool her, but my husband wasn't ready. I was not willing to make that significant family decision alone. So she attended a Montessori kindergarten and we kept discussing homeschooling. By the time she was in first grade I had his complete buy-in and our homeschooling journey began. 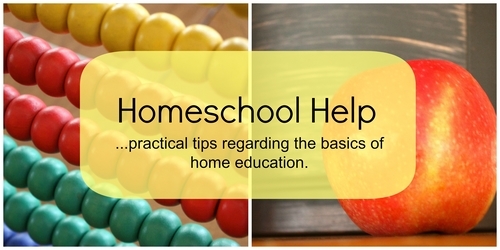 Homeschooling is a full time job that doesn't result in any financial income. He has a full time job and so do I. Since we are both working, we share chores such as cooking, cleaning, laundry and paying bills. This enables me to be the one who focuses on lesson planning and teaching. For the most part the kids like school, but school cuts into their free time. Therefore, some things having to do with school get an initial negative reaction. However, once they are in the middle of a school project they seem to enjoy what they are doing. Last year my role as a teacher and as a mother wasn't working in regards to my eleven year old daughter. It seemed everything I did was negative in her mind due to the fact that I assigned the school work. To her I was the "bad guy" and my husband was the "good guy". Explaining to her that kids go to school and they do school work didn't seem to work. So she got a new teacher. My husband became her dedicated teacher for about one month. He changed her history and writing assignments so she knew that I wasn't just telling him what to do. He was her teacher and instead of listening to me, she had to listen to him. He was strict and she was surprised. What she discovered was that it didn't matter much who the teacher was, because the work was similar. For a short time I became just mom and he became teacher. The role reversal really worked. Occasionally one child will become a parenting challenge. When what I'm doing or saying doesn't seem to have much of an effect I will ask my husband to "have a chat" with the child. Since his perspective is different, he often can bring logic back to the situation. His talks definitely work to reform their behavior. My husband is a computer guy, so he does all the technical support too. Anytime the internet is missing he gets summoned. I couldn't homeschool without his support. He's a great guy that helps in so many ways. This post is part of the Homeschool Help Series and I'm excited to read about other Dad's roles in homeschooling. I like what you say about both of you having full-time jobs so sharing the chores - absolutely!